Nothing is eternal, but there is something that remains over time: STONE. 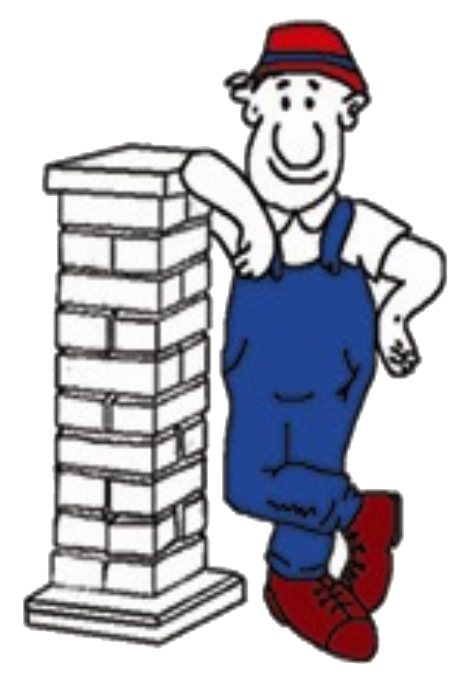 Since ancient times, stone has been used to build, decorate and for various other purposes and, even today, we find in it evidence of a more or less distant, but still living, past. There are examples of it in old churches, houses now in ruins, statues, columns, capitals and the various artistic productions that our ancestors have handed down to us, worn out by now but still alive and meaningful, still present thanks to the durability of stone, destined to erode but not to be irreparably lost over the centuries. It is this stone that we have dealt with now for two generations. Initially, in the early seventies, Artemio started manufacturing this material, then his son Lino took his place, bringing the innovation of a new generation, but holding onto the passion and dedication handed down to him by his father. In essence, our company has distinguished itself over time, not only for our ability to produce substantial amounts of unquestionable quality in limited time-frames, but also for the quality of the now rare stone from our quarries: ALBERESE STONE, ALSO KNOWN AS COLOMBINO, particularly valued for its hardness, its resistance to any environmental phenomenon (especially frost). Our production mainly deals with road construction, building and renovation of plazas and redeveloping old town centres, but also interior or exterior flooring of homes and shops and artistic works such as fireplaces, columns, capitals, friezes, various ornaments, dressed stones for doors and windows, fountains, stone cladding for houses and walls and mosaics. Our company works the stone starting from the mountain. 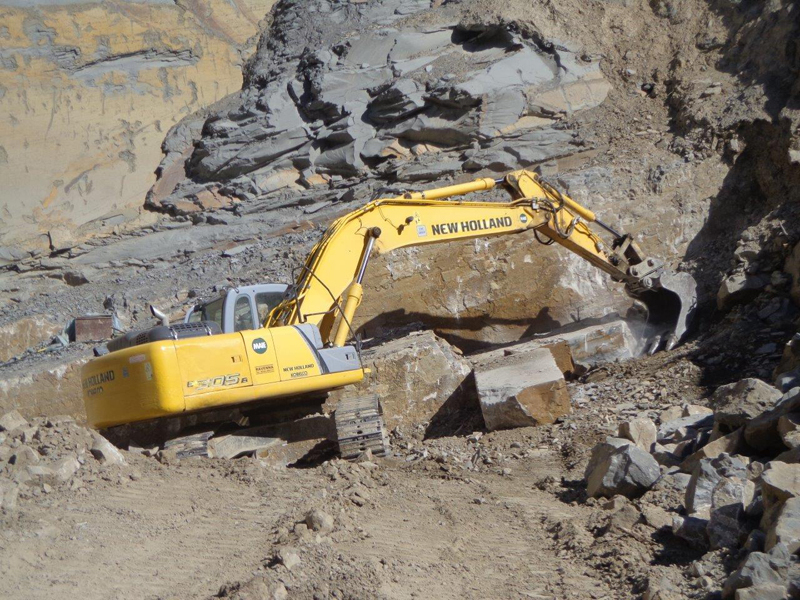 At our quarry we extract the stone blocks and work them in the company laboratories equipped with advanced machinery and equipment. But the greatest mastery lies in the hands of our workers who, with so much experience, manage to create masterpieces of bygone eras and true sculptures. 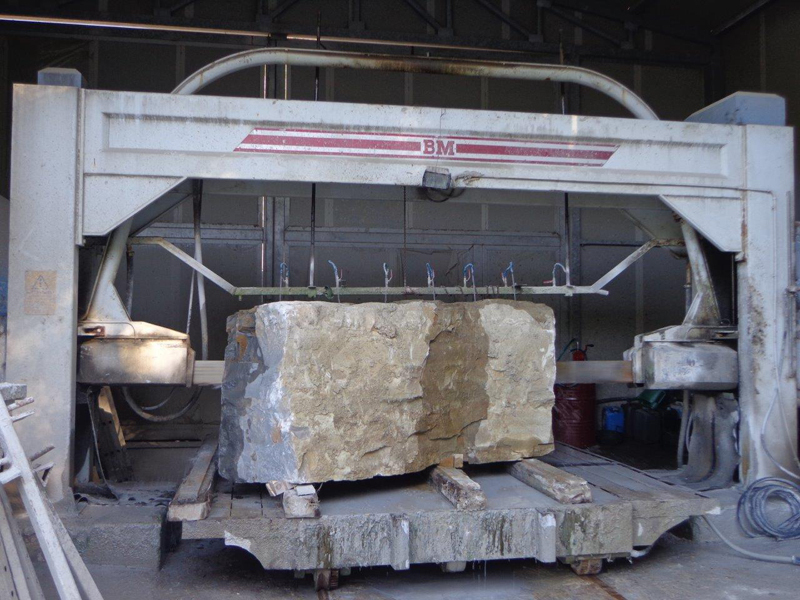 The Strong Alberese Colombino Stone is extracted in the quarry of our property. It's a very precious stone that is characterized by high hardness, wear resistance, water absorption and, above all, to the cycles of freezing and thawing. Thanks to this quality it has been classified as ANTIFREEZE STONE. 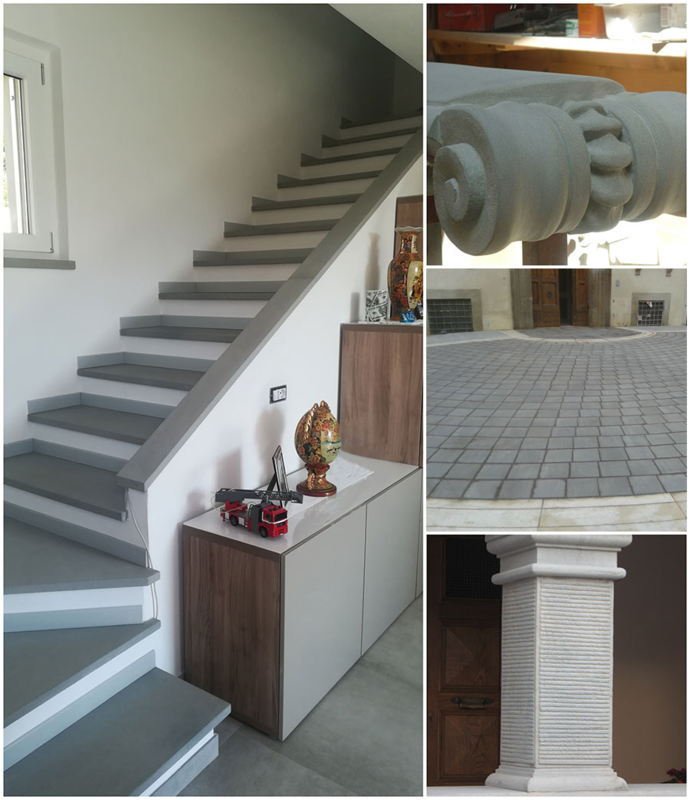 Thanks to these characteristics, duly certified, the stone Alberese Colombino, is particularly sought after and used for paving streets, rehabilitation of historic centers , paving driveways, sidewalks, steps and all the works that require a large resistance and a long service life without losing elegance and sophistication.